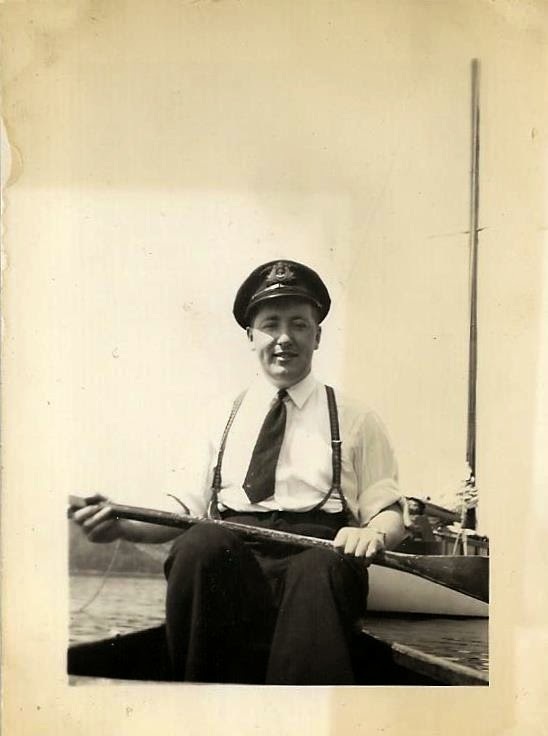 Alfred David Morgan, my father was born on April 14, 1921 in Vankleek Hill, a small town in Eastern Ontario. His dad was Rev. White Burton Morgan, an Anglican minister. His mom was Bella Mae Vallillee. 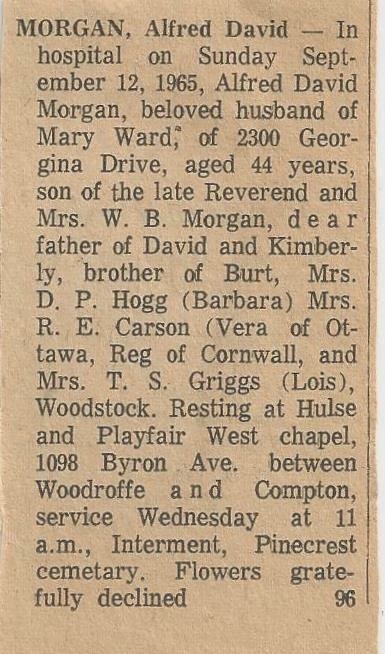 They had moved from Hartland, NB presumably because White became the pastor or assistant at the local Anglican church. Alf had 3 older sisters: Lois, Vera and Barbara. He had an older brother Burton and a younger one Reg. Hence they were a typical semi-rural large family. They had a dog named ginger. Life for Alf must have involved family meals, school, chores and Sunday school. One thing became quickly clear, young Alf liked sports. 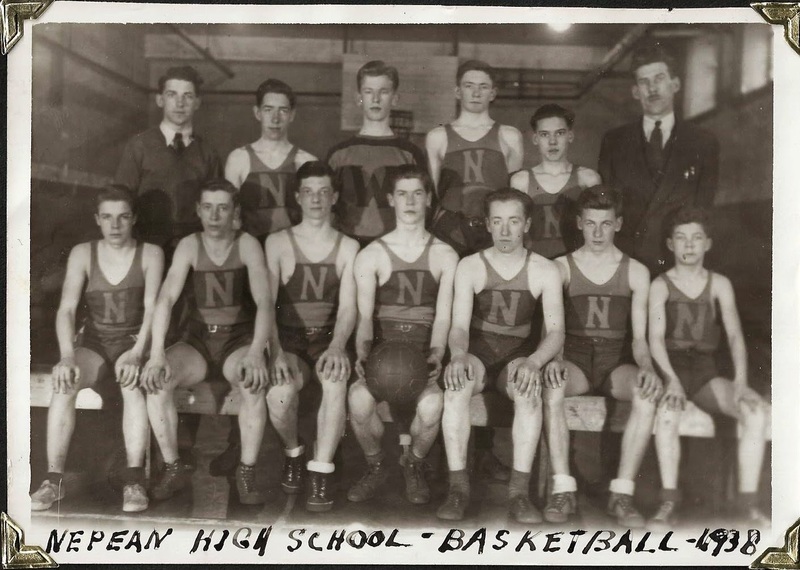 In 1933 he entered Nepean HS right next door. 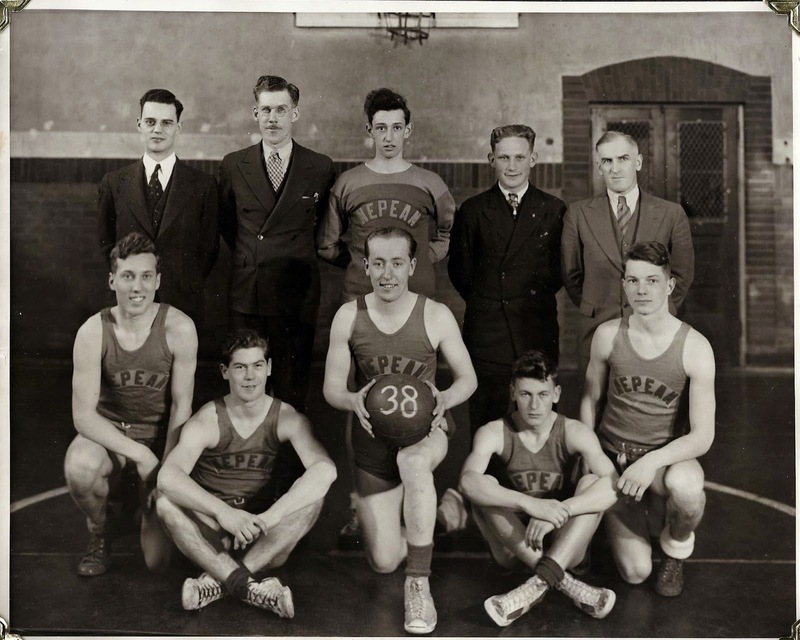 He played on the basketball team and played golf frequently at the nearby McKellar Park GC which no longer exists. (There is an old sign from this club in the bar at Pine Lodge in Bristol, PQ.) In the 1930s he wins the R. H. Montgomery Trophy for low net and with partner Miss B. Kendrick finishes second in the low net couples. 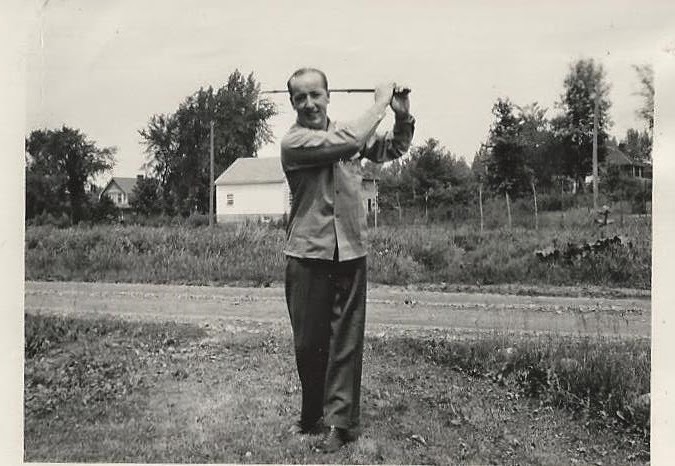 I have a certificate saying that he had a hole in one at McKellar Park as well as another one in 1948 at the Chaudieu GC (pre-cursor of the Chaudiere in Hull, PQ I think). There are photos of him with a tennis racket too. He loved sports but golf was his first love. 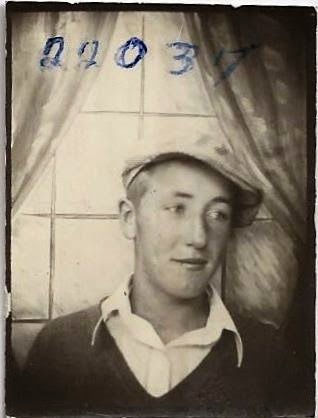 He must have done reasonably well in HS as his parents sent him off to McGill U in Montreal in 1939 for an Arts Degree. 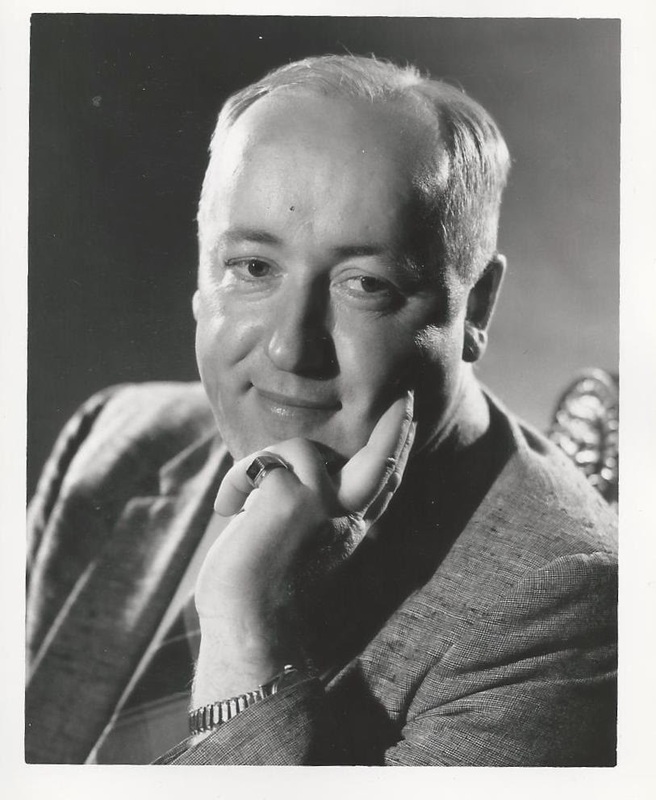 While at McGill he was the Sports Editor for the McGill Daily student newspaper for several years. 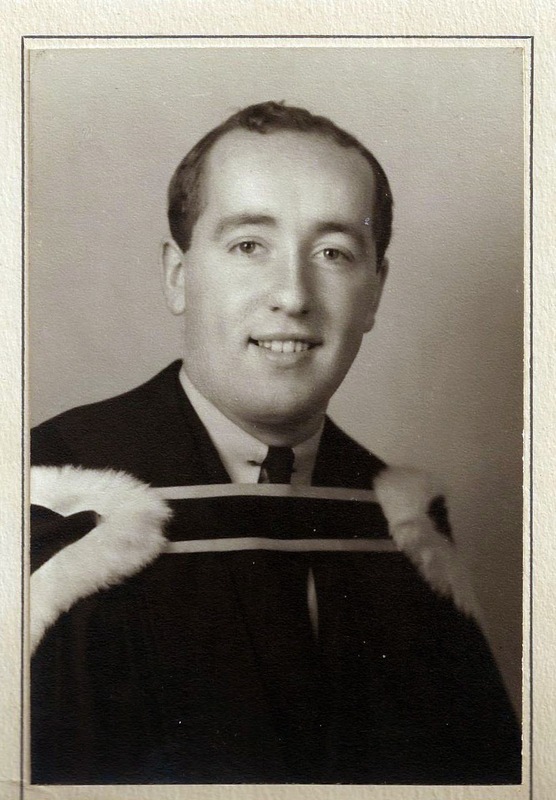 His graduation book message in 1942 reads: " Associate Editor, McGill Daily 1940-42; Inter-company Football; Men's Historical Club 1940-42; Basketball Referee 1940-41; Co-Editor Leonard Foundation Annual 1941-42; expects to do post-grad work at McGill." But then the War intervened. On campus there had been 6 hours of military training per week and Inter-Varsity sports had been curtailed. 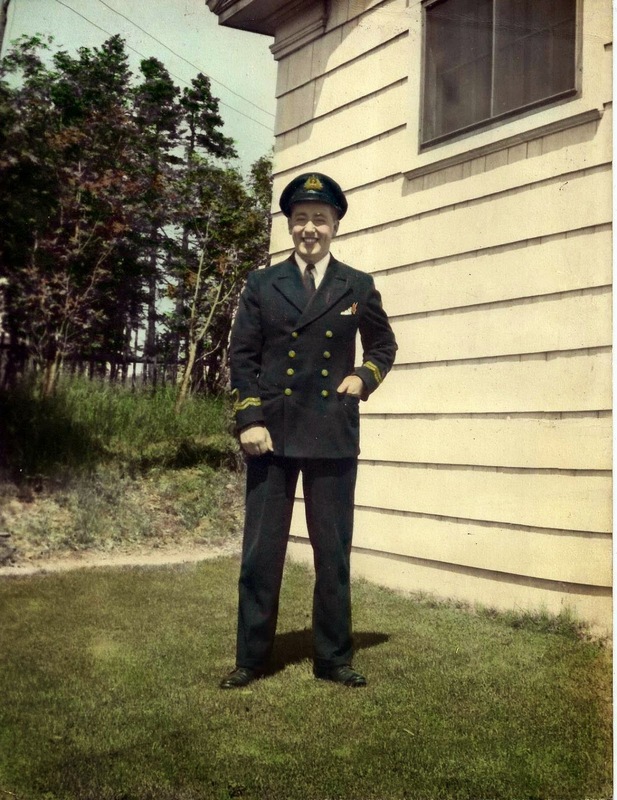 On Dec 13, 1942 Alf joined the Royal Canadian Navy Volunteer Reserve (RCNVR) as a Sub-Lieutenant in the Special Branch. Many of his friends must have joined the forces too, some of whom would never return. 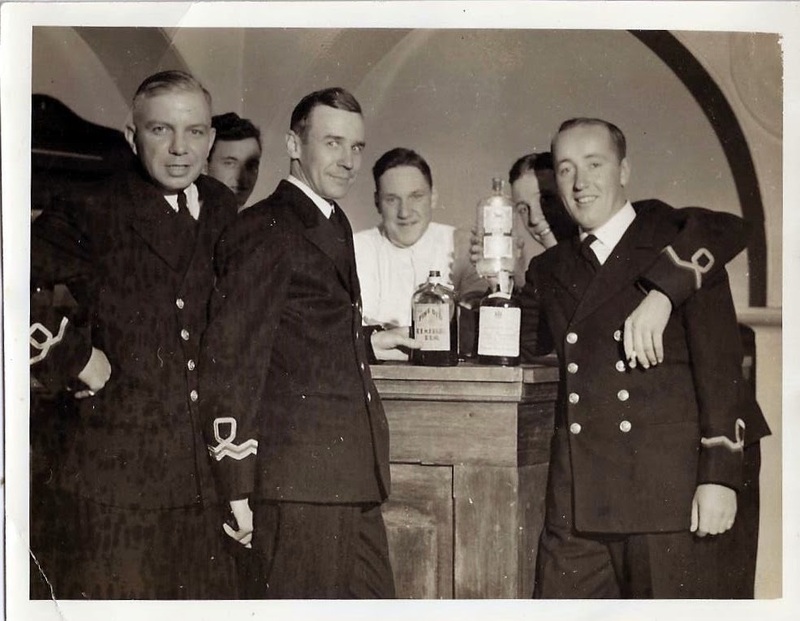 I am not sure how he got there but he spent most of his subsequent war years at Fort Pepperrell in the Signals group of the North Atlantic Division. The base building is now a community centre in beautiful Quidi Vidi just outside St. John's, NL. I have his badge and two war medals. 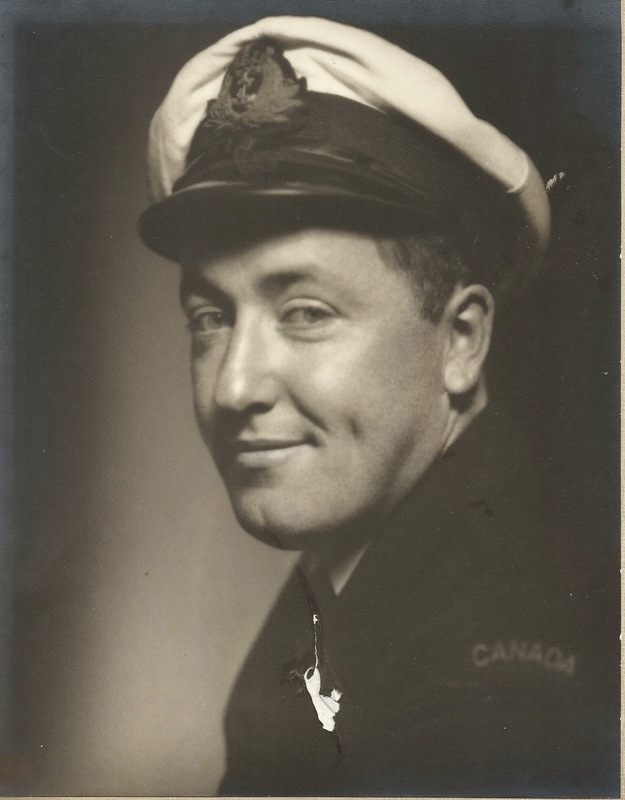 They indicate that he served "overseas" since Newfoundland was a British protectorate then and hence was considered to be overseas He was subsequently appointed to the rank of full Lieutenant with seniority dating from July 1943 by Defence Minister Paul Hellyer in 1963. The standing joke Alf had about when he served in Newfoundland was that he had 40 women under him! 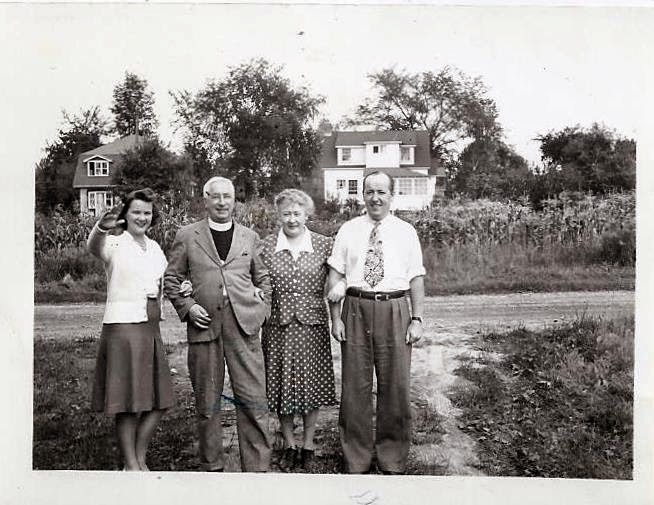 It was sometime during this hay day period that he met Mary Ward from Montreal. 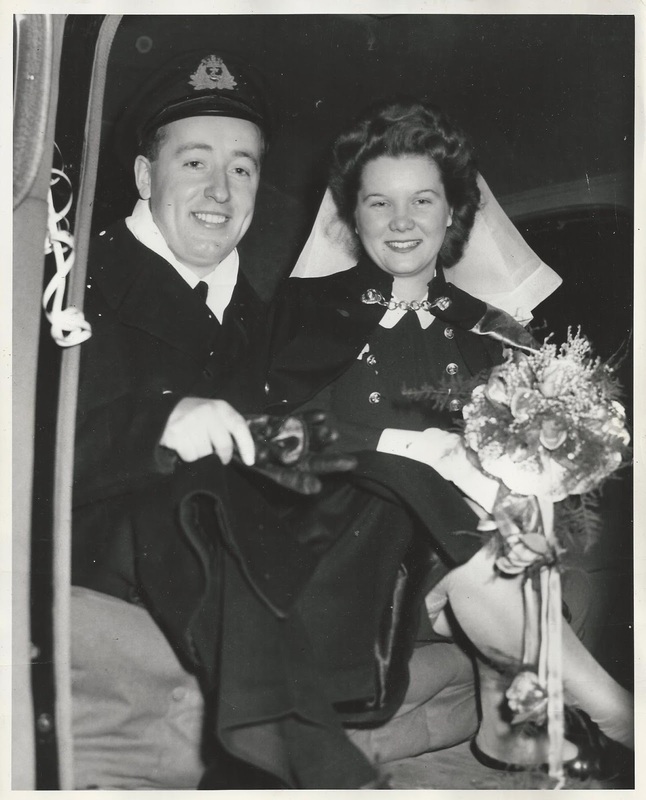 She was a pretty RN serving at the Naval hospital in Shelbourne, NS. There must have been many parties while on leave that occasioned their meeting. 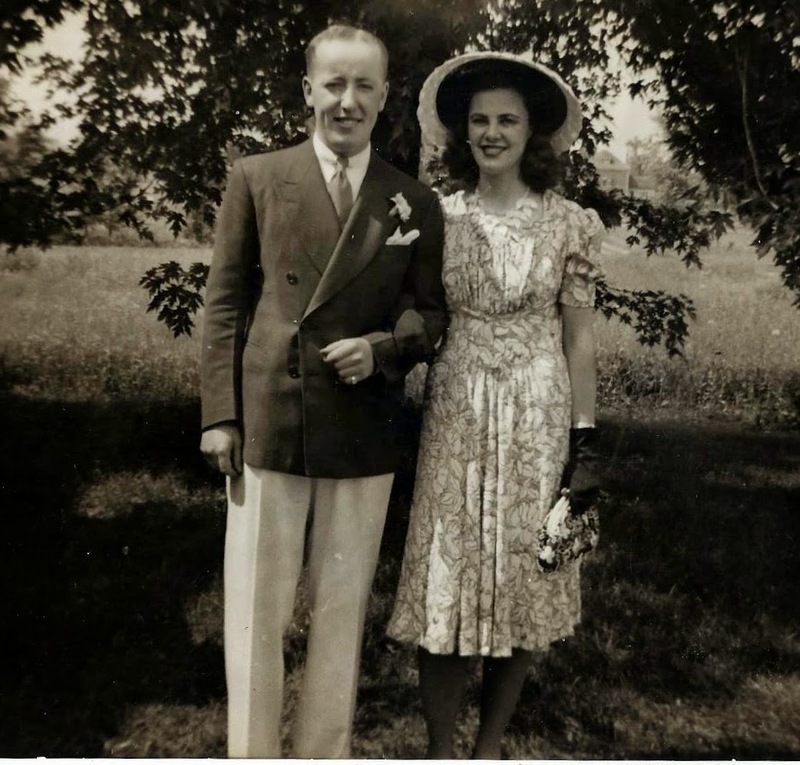 Well their romance blossomed, they both survived the War and were to be married in Montreal in December 1945. 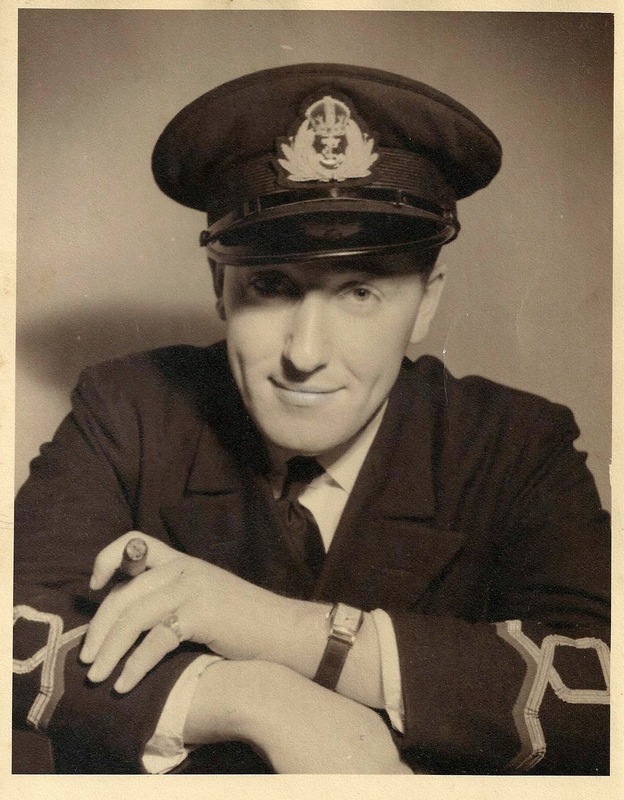 Alf resigned from the RCNVR immediately following the War and took advantage of some bursaries and reduced tuition for forces members reintegrating in Canadian society after the War. He was accepted at Osgoode Hall Law School in Toronto. He headed down there and lived at 22 Prince Arthur Ave just west of the formerly trendy Oakville. 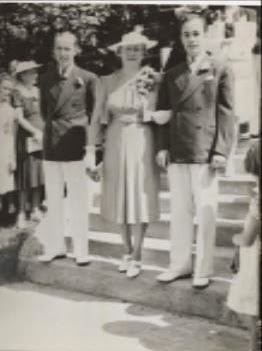 Mary initially stayed in Montreal planning their 1945 wedding. Then she joined him and helped pay the bills as a store nurse and stenographer. They lived at 142 Wellesley St E near cabbage town in Toronto. 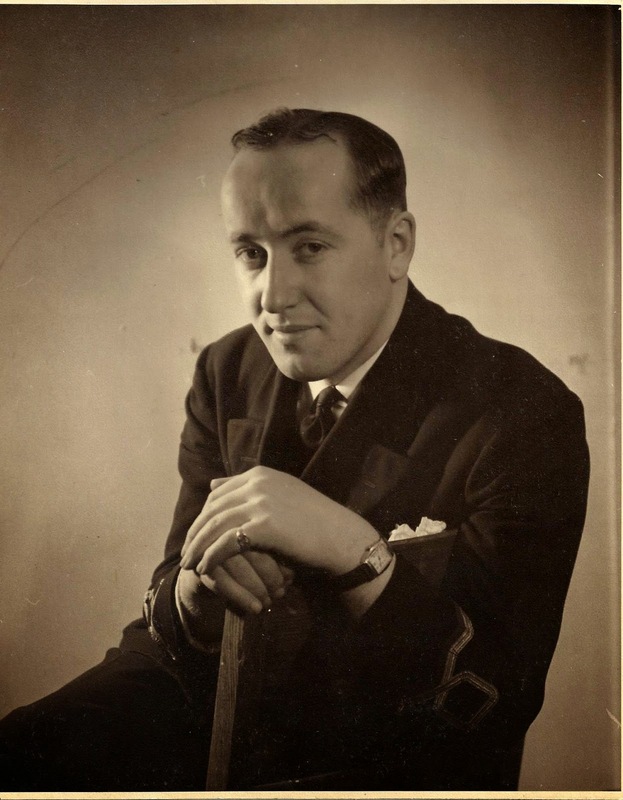 Upon law school graduation Alf landed a job in the Foreign Exchange Control Board of the Bank of Canada in Ottawa as a solicitor. 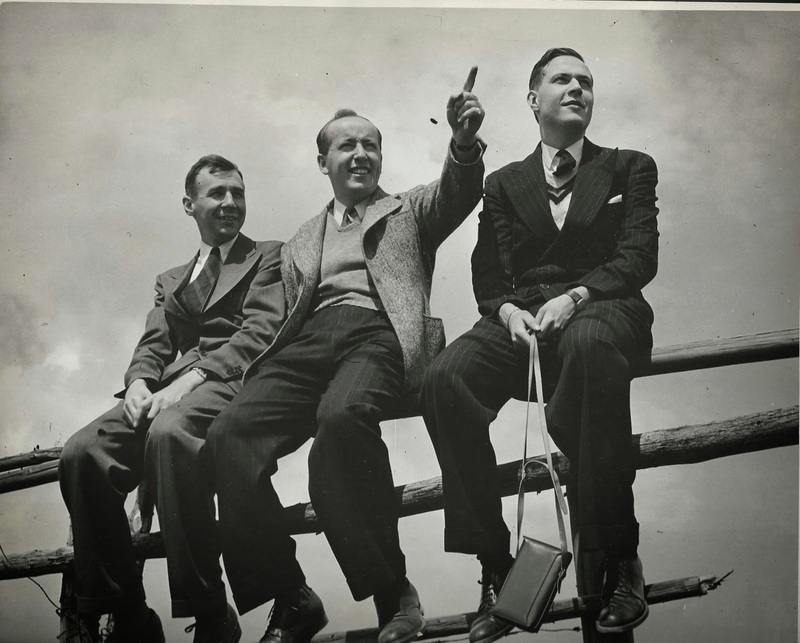 However, just after I was born in 1950, the Board was disbanded and Alf had to scramble to find a new job. He contacted friend Don Dipblock from his McGill days who was working with the City of Ottawa Legal Department. 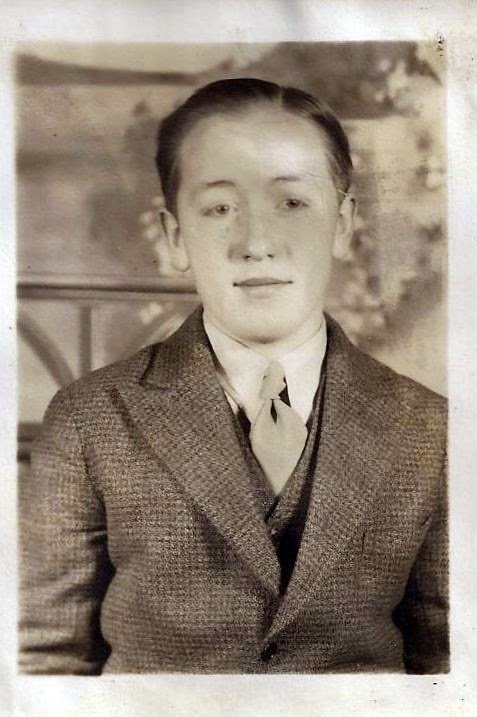 "Dippy" as mom used to call him helped Alf get a job as assistant city solicitor in their legal department. Alf spent 15 years working on such projects as the creation of the Sparks Street Mall and expropriation of land needed to construct the Queensway (Hwy 417) across Ottawa in the early 1960s. There is a letter or two on file from very satisfied citizens thanking Alf and his secretary for good service. During these years he would moonlight, doing conveyance and title searches for clients during the evenings. I remember visiting his new office in the new Ottawa city hall building that was built for $4 million on Greens Island in the early 1960s. 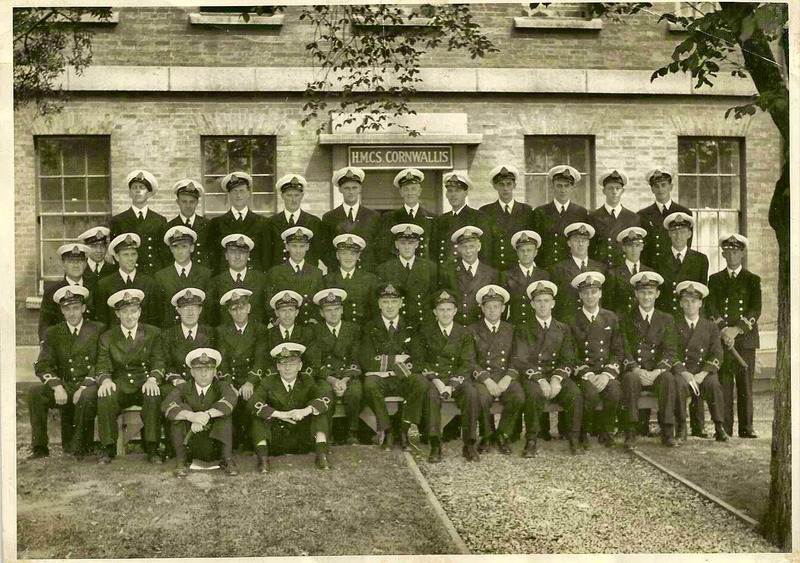 In those days they had to work 5 1/2 days a week and there was no dress down Fridays! The Federal government now owns this attractive building. 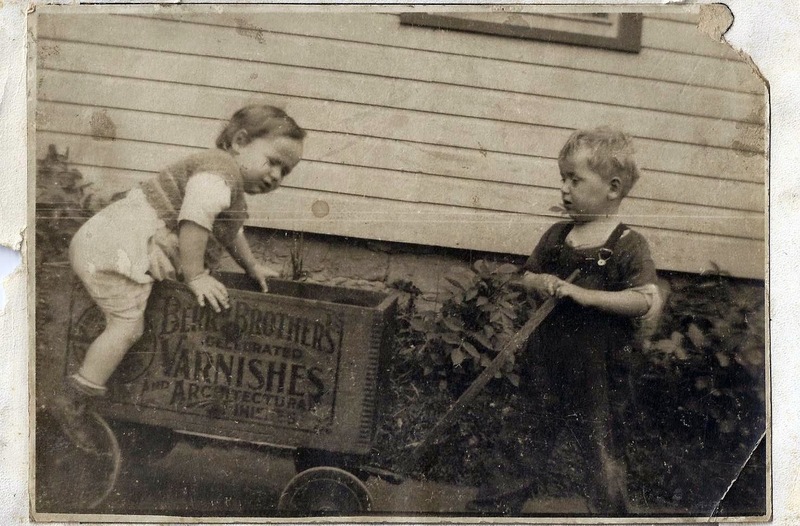 We initially lived at 375 Mayfair Ave before moving in 1952 to a brand new bungalow at 905 Mountainview Ave which was way out in the new west end. 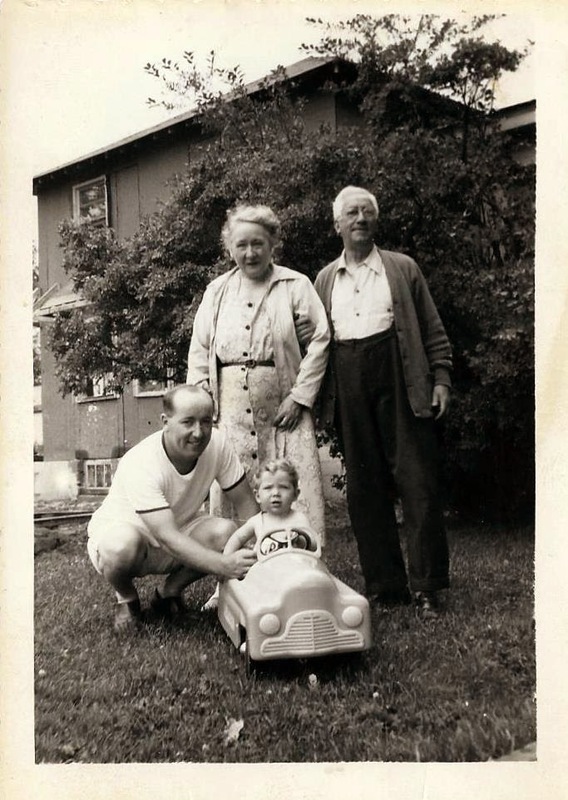 Kim was born in 1953 and we lived happily there until moving to new split level in 1958 at 2300 Georgina Dr just around the corner. Dad and mom had bought a big corner lot, subdivided it and we moved to one corner of it while another new house was put up next door. 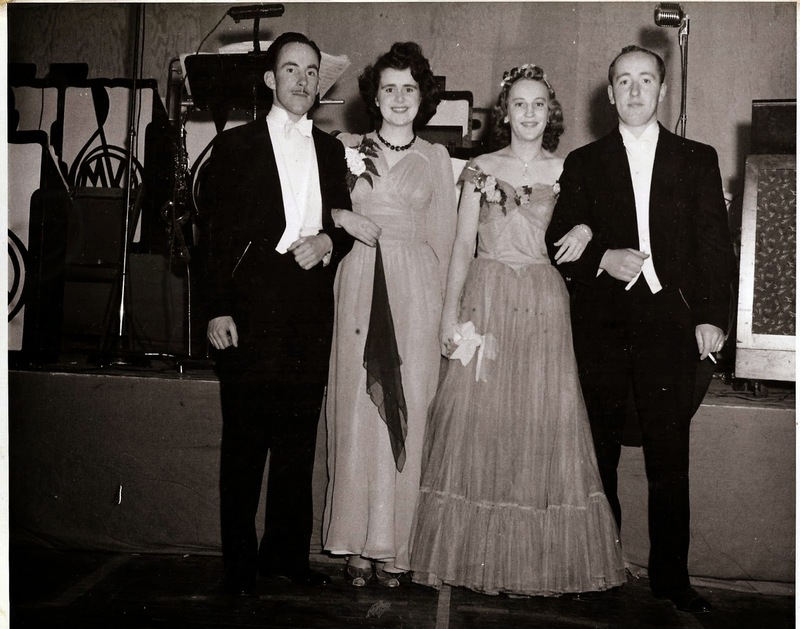 Alf joined the prestigious Rivermead GC in March 1955. I still have his ownership share worth $100. He played with his buddies one of whom was Hugh Riopelle, uncle of Rev. Tom Riopelle, our former Nepean parish priest. In 1958, he won the annual Beef and Greens tournament Walter J. Williamson Trophy for low net. I remember him playing every Weds PM, Saturday and Sunday mornings ... forever. 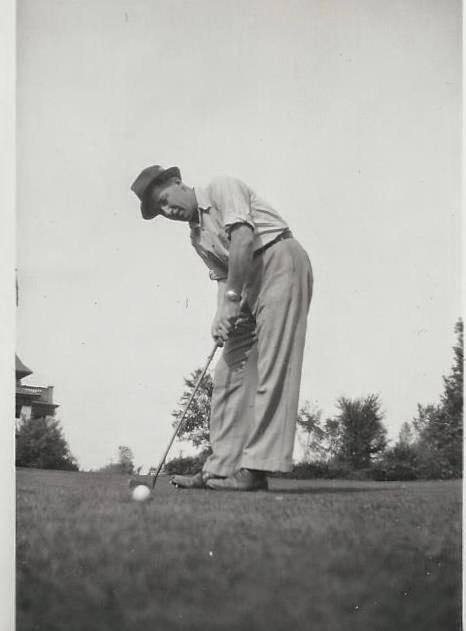 In the spring, he would go for a week to Southern Pines, SC and play 36 holes a day with his golf buddies. Towards the end I would caddy for him and could hardly wait for the coke and chocolate bar snacks at the end. When someone sunk a long put in those days they would yell out "Lafayette, we are here! When I do that now, people don't know what I am talking about. 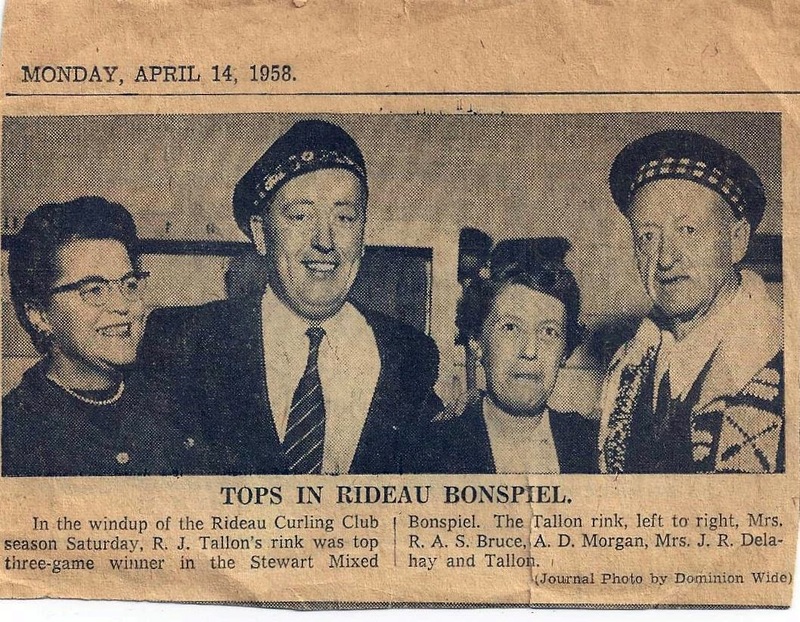 He was also an avid curler and belonged to the Rideau Curling Club. 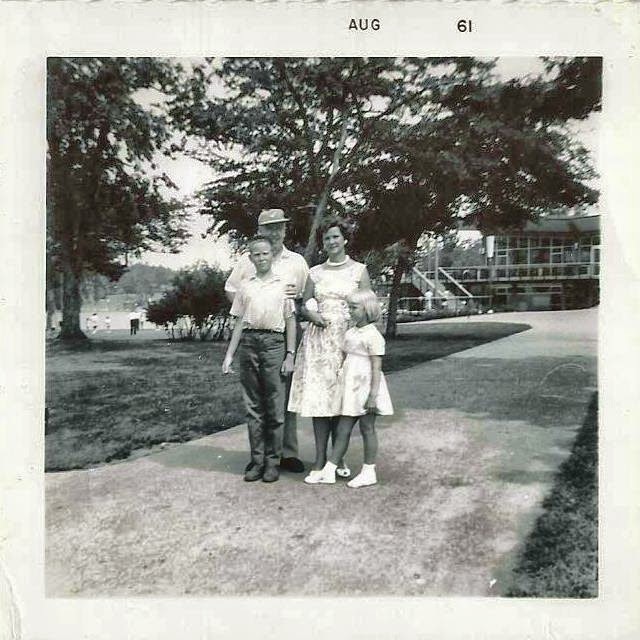 Mom did not curl or golf much but must have attended some of the frequent socials. He was also a member of the Canadian Club which bills itself as a prestigious meeting place for the inquiring and influential. They host speakers, networking events and hospitality. There is no mention of him being a Mason. 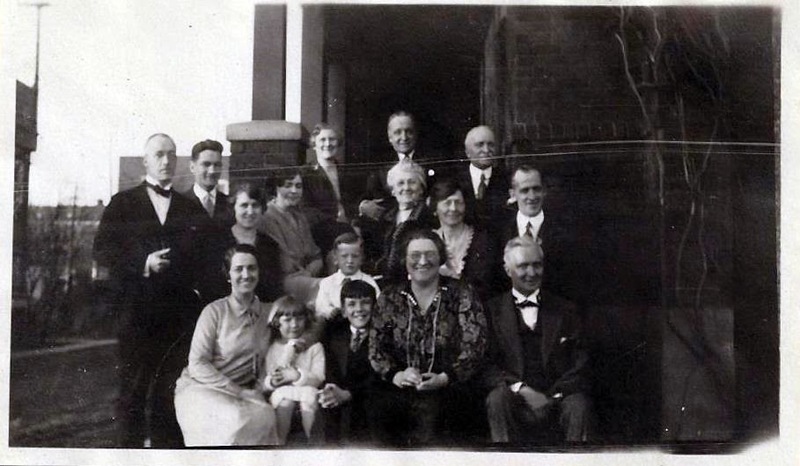 Cousin Barbara Morgan says there were a few Masons on the Vallillee of the family though. One of the neat things we had was one of those 8 mm movie cameras that dad bought when they were all the rage in the 60s. 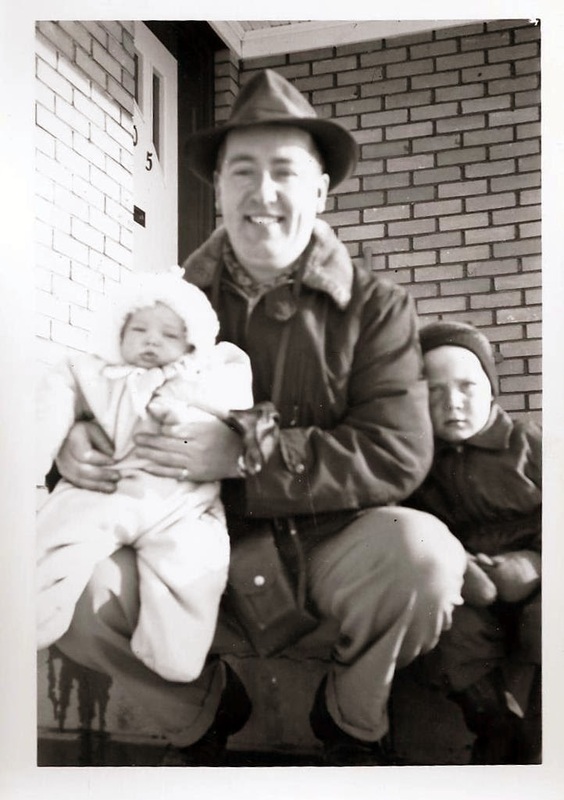 I have a extended film of these family memories that still works. It includes scene's of Alf and friends golfing in S.C., the Queen Mother's visit to Ottawa in 1962, ... and Alf's thumb slipping in front of the lens blocking the scene he was trying to shooting. Will have to get this converted to DVD someday. He was a big fan of the Toronto Maple Leafs and Ottawa Roughriders. When Frank Mahovolich used to score with that blazing slapshot, dad would run upstairs and jump into my bed yelling "Mahovolitch, he scores!!!" He and mom had 50 yard line season tickets for the Riders games for several years. 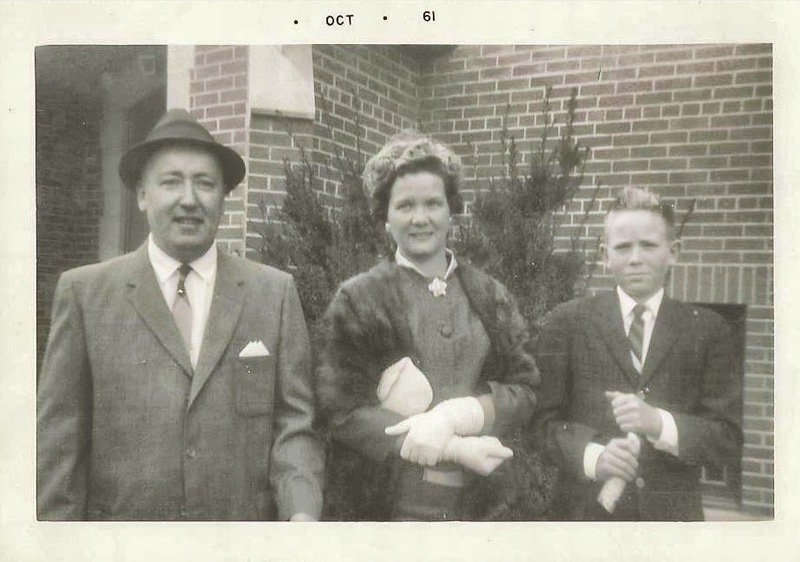 After they won the Grey Cup in 1960 dad took me to the victory luncheon. I can still remember seeing Russ Jackson. Ronny Stewart, Kay Vaughn and all the big stars at that event. He wasn't much of a church goer though. His first love on Sundays being the golf course. In 1965 he bought a used Acadian Beaumont, a G.M. vehicle out for the first model year. Prior to that we had had a 1956 or 57 Buick and earlier a 1953 Ford which caused us lot's of car trouble. 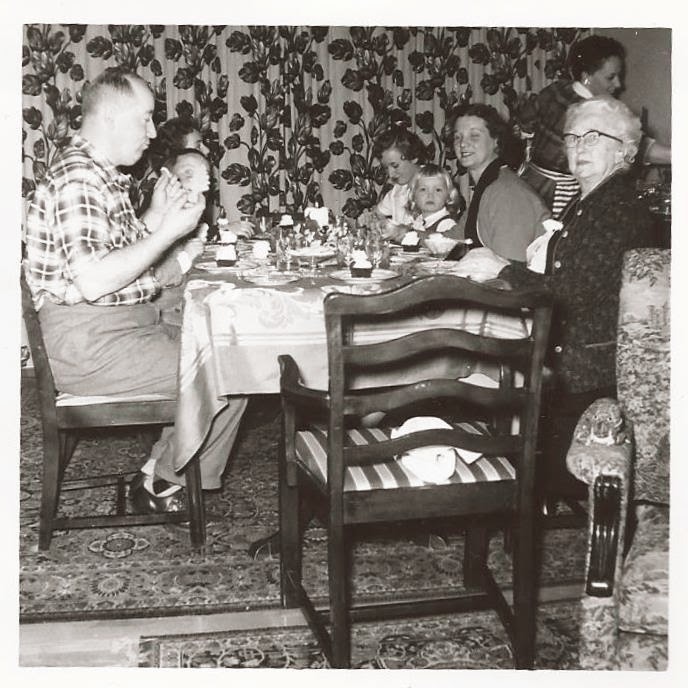 We were a happy middle class family with a stay at home mom and a rarely at home father. Then Dad got ill. Initially they sent him to a chiropractor to deal with the pain he had in his hip and lower back. It was cancer and they had misdiagnosed it. He did get radiation therapy eventually but it was not as advanced in those days and it was too late. In 1965 at the tender age of 44 he passed away. We were all devastated. But, thanks to mom's hard work, we survived. His death notice and obituary. "That was sad, the passing of our friend, Alf Morgan...and only 44. Our deepest sympathy to his nice little wife and children - what a shock. Alf loved golf and, when he was hitting them and had a nice fat cigar in his mouth, everything was singing. It was nice to have known a friendly chap like Alf. There are too many sour-pusses in the world." 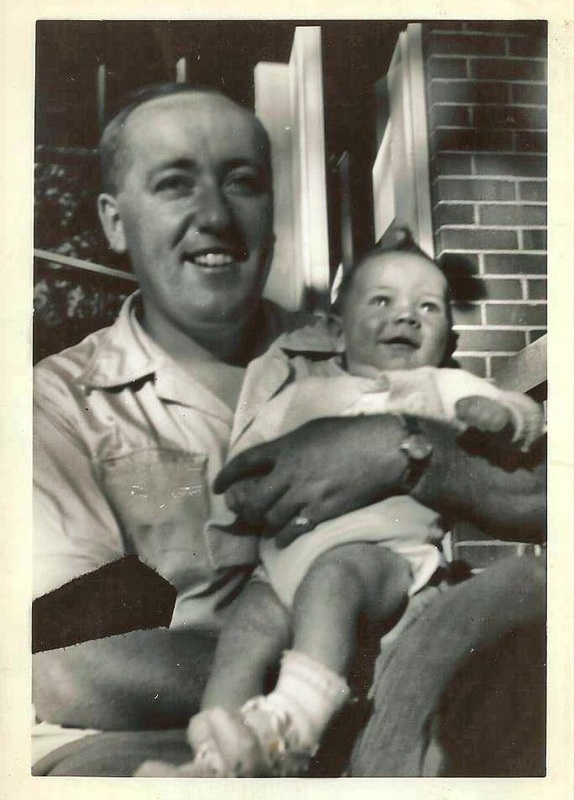 I still do miss you dad after all these years. 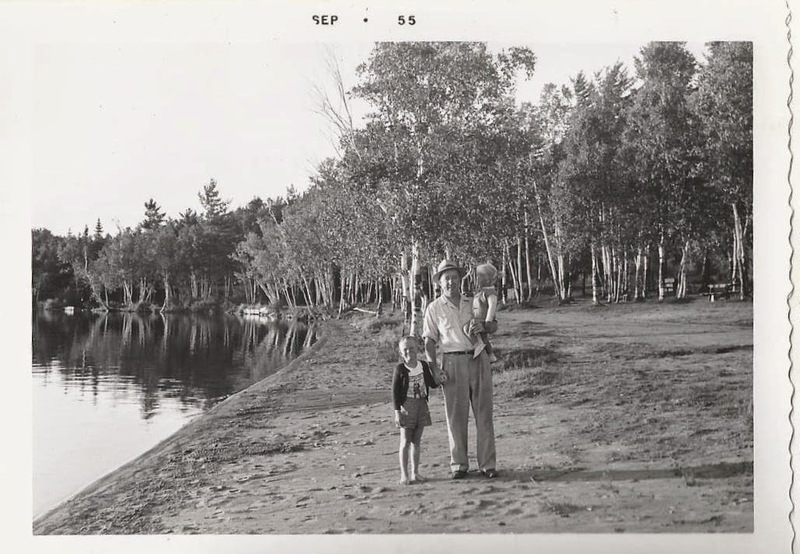 Dad was a fun loving guy and it rubbed off on me - the love of golf too. We were so happy to have known you and to have seen that you had a lot of fun. I know you are still playing golf somewhere really great on Sunday mornings! And curling too!